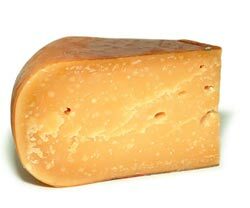 An incredibly under rated sheep's milk cheese, Grande Ewe Gouda will surprise and delight those who choose to venture toward this wonderful treat. 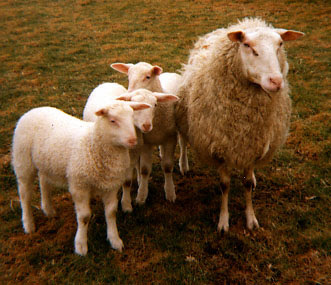 The use of sheep’s milk is extremely rare among traditional Dutch cheeses, making Vintage Grand Ewe one of the most unique cheeses to come from Holland. Made from 100% sheep’s milk and aged for one year, Vintage Grand Ewe is made in the traditional Dutch Gouda style, which gives the cheese a creamy yet slightly crumbly texture. The taste is well balanced with a rich milk flavor and undertones of butterscotch and salt. There are also some floral notes and a texture that is slightly granular. It is yellowish cream in color, and then towards the orange red rind, it darkens. The natural ripening makes it comparable to the Ossau-Iraty cheeses found on the French side of the Pyrenees Mountains. I highly recommend giving it a try.